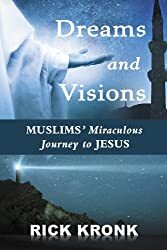 From my own research on Arab MBB conversions, about 1/3 of the 50 participants had a dream or vision that they remarked was a factor that facilitated their journeys to faith in Jesus. Tom Doyle says the same thing below, 1/3. There are actually many other factors that occur more frequently for different MBBs in their coming to faith experience (more on this later), but dreams are happening. I have blogged on this topic before: Thinking Missiologically About Dreams. 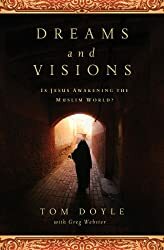 The influence of dreams in MBB conversions to Christ has been well-documented, with many popular level books being published such as Dreams and Visions: Is Jesus Awakening the Muslim World? (Doyle 2012). Tom Doyle postulates that “about one out of every three Muslim-background believers has had a dream or vision prior to their salvation experience” (2012, 127), although he does not cite the study he refers to. 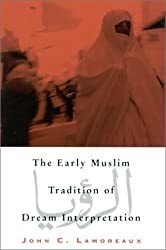 Dreams may be more spiritually significant for (non-Western) Muslims because their worldview is more attune to the supernatural world than the Western worldview (Musk 1988; cf. K. 2005). Greenlee notes that dreams tend to occur at the introductory stage of the conversion process, not at a later stage of confirmation or validation of the decision to convert (Greenlee 1996, 129). Anthony Greenham found that dreams among Palestinian converts did occur, but were not perceived to be significant factors by the MBBs who had them (2004, 174). It might be possible that MBBs’ dreams may be more significant to Western Christians than they are to MBBs themselves. Nevertheless, dreams are an important psychological and supernatural factor to consider in research. Doyle concludes, “Dreams alone aren’t enough. No one goes to sleep a Muslim and wakes up a Christian. Jesus’ personal appearances are an incredible work, but He still uses godly people to share the gospel that brings salvation” (2012, 241). “Dream and vision events are the product of the unconscious exercise of physiological faculties that may be used of God to communicate to an individual, even to bring that person to the brink of conversion. Dream and vision events used of God (of the Old and New Testaments) for spiritual ends do not require previous faith in God nor agreement with biblical truth. Such is the case for the dreams and visions experienced by Abimelech (see Gen. 20:1-18), Nebuchadnezzar (see Dan. 2:1-45, 4:4-37), Pilate’s wife (see Matt. 27:19), and Saul (see Acts 9:1-19). Dream and vision events use of God for spiritual ends are comprised of directives and symbolic content that are in agreement with the Scriptures. Dream and vision events intended to bring an individual to faith in Christ do not include complete gospel content. Instead, they motivate the dreamer to consider his spiritual need by heightening his perception of ultimate issues –life, death, judgment, etc. –with regard to Christ, the gospel, and biblical information in general. A review of dream and visions accounts suggest that the greater the previous exposure to Christian religious information, the greater the specificity of the dram or vision event. Dream and vision events intended to bring an individual to faith in Christ are not direct causes of salvation. Therefore, in order for salvation of an individual to result from a dream or vision experience, a third-party messenger ‘outside’ the dream or vision event must provide the gospel content that the dream or vision experience has suggested. Christians must realize that not all dreams are revelatory, either in actuality or potentially so (92). Following the eventual death of the prophet and the ending of Koranic revelation, dreams and visions grew in importance as means of hearing directly from God. As a result, the science of dream interpretation developed and prompted the compilation of interpretation manuals to assist in decoding the meanings of recurring symbols in the dream and vision events. What is remarkable is to what extent these dream manuals played a role in the religious life of the Muslim in the succeeding centuries following the death of Mohammad—an indication of just how prominent the phenomenon of dreams and visions had become.